Over the years the Museum has taken a broad approach to collecting, and contains many unexpected objects, often hidden away in the store. This recently held special exhibition showed some of the most intriguing of these, telling their stories, and the stories of their eccentric owners. Who would have thought that a museum of science would have a large collection of typewriters , a Japanese mechanical fly-trap , a 19th-century clockwork bird-scarer  or an astrolabe belonging to Nostradamus? MHS invited contributions from young and old. The Fourth Plinth  offered an opportunity to exhibit your very own object in the museum. Thank you to all our contributors. Competition! 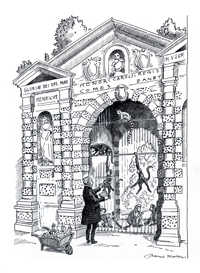 Eccentric Inventions Drawing Competition  called all children aged 5-16 to let the imagination run wild in drawing weird and wonderful inventions with a chance to display in the museum and on this web site. 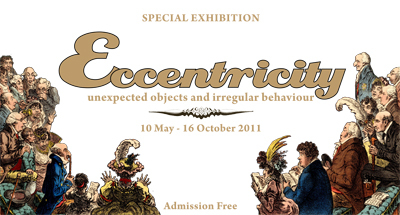 Those who subscribed to the exhibition blog, the Eccentricity Curator’s Scrapbook  and followed the Museum on Twitter  (we’re @MHSOxford) were able to discover daily eccentric objects and stories from the exhibition. 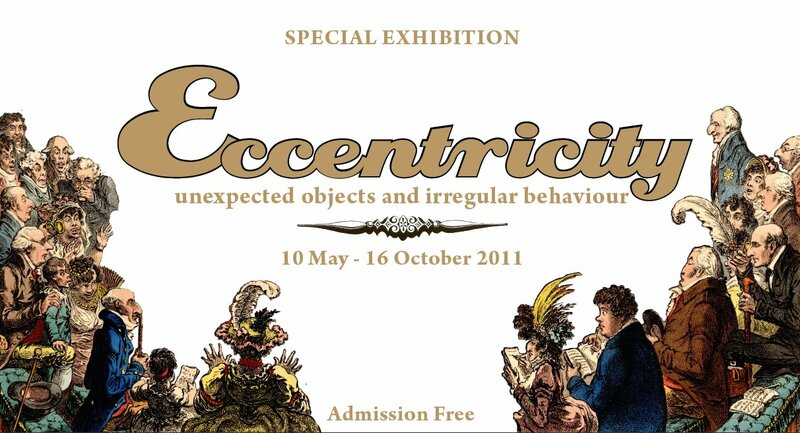 The exhibition ran from 10th May – 16th October in the Special Exhibition Gallery, finishing with the Eccentricity Debate , hosted by Bill Heine of BBC Radio Oxford.